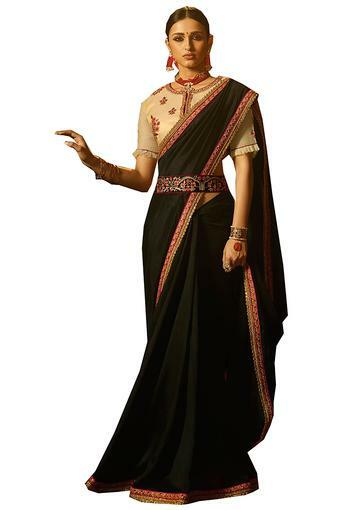 Diversify your ethnic collection by opting for this fashionable saree with blouse piece from the house of De Marca. The premium quality silk that has been used in its tailoring ensures that you stay comfortable wearing it all day long. Along with an impressive embroidered detailing, it also comes with an attractive solid pattern that makes it look stunning. Inspire a new fashion trend by wearing this beautiful saree with a pair of matching danglers and high heels. It comes with a blouse piece and you can wear it on any festive occasion, where you wish to look flawless.